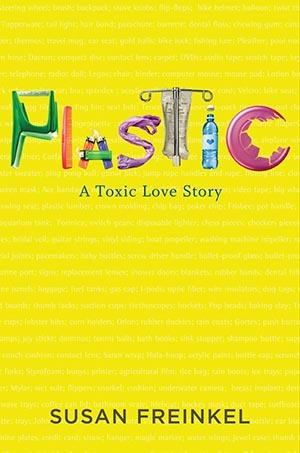 Last year, campaigning journalist Susan Freinkel noted that she wrote her anti-chemical book, Plastics: A Toxic Love Story, because she was shocked about how much modern society relied on plastics. In her mind, “synthetic materials” equated with poor health, pollution and western gluttony. Freinkel’s perspective reflects a familiar and distressing trope in science journalism. Rather than contextualize an issue, activist reporters often dramatize it. Costs are rarely weighed with benefits. The risks of not using a substance are almost never balanced against the risks of using it. Like many reporters, Freinkel started out with a premise—plastics=toxic=bad—and then loaded the dice to hammer home that simplism. What brings Freinkel’s book to mind is the recent news that Australia’s premier science risk assessment agency comprehensively assessed a common phthalate, DINP (diisononyl phthalate), used in toys and child care products and found that it poses no serious health concerns. That determination, which corresponds with reviews by major science bodies around the world, stands in contrast to the perspective on phthalates and most chemicals advocated by Freinkel and other activist journalists and NGOs. Phthalates are plasticizers used to increase the flexibility and durability of a product. There are dozens of different types, but nine major ones, used in thousands of consumer and industrial applications including, cosmetics, cables, flooring, medical devices and children’s backpacks and toys. DINP is one type of phthalate. The finding revoked the categorization of DINP as a “priority existing chemical,” meaning that manufacturers and importers wishing to use it in a product need no longer apply for yet another assessment. Australia’s study is the latest in a long line of international government reviews affirming that DINP is safe for current uses. Few chemicals on the market today have undergone as much scientific scrutiny as phthalate plasticizers. Environmentalists and industry groups can draw upon a plethora of studies, human and animal, in a hopeless attempt to definitively prove phthalates are dangerous or harmless. As in most reviews of chemical substances, science rarely yields perfect clarity. But in this debate, clarity is not the goal of phthalate critics who hold a distinct if perverse advantage. They are not trying to reach a “weight of evidence”conclusion (if they were, there would be few if any restrictions on phthalates); rather, their goal is to stir just enough concern that politicians will ban or heavily restrict the chemical based on precautionary fears. Phthalates, Freinkel breezily writes in her book that phthalates “play havoc with the body’s endocrine system”—yet no scientific oversight body in the US, Europe or elsewhere has determined that plasticizers adversely impact humans in this way. According to last year’s report from the Centers for Disease Control and Prevention, “[p]hthalates are metabolized and excreted quickly and do not accumulate in the body.” That report echoed the findings in 2004 and 2010 by the Children’s National Medical Center and George Washington University School of Medicine showing no adverse effects in organ or sexual functioning in adolescent children exposed to phthalates as neonates. Another recent study has found that even high exposure levels have shown no effect on the genital development of marmosets—let alone humans. That said, because of other, more ambiguous studies of rodents exposed to doses hundreds or even thousands of times higher than what humans encounter, some political bodies have instituted bans or restrictions on some types of phthalates. Regulators have long noted that plasticizers are not all alike. So-called low phthalates—DEHP, BBP, DBP and DIBP—are less stable and release out gasses. Although major science bodies in the US, like CDC, have found low phthalates that are taken into the body are safely metabolized, precautionary fears abound. In the US, current law bans the sale of toys intended for children 12 or younger, or child-care articles for children 3 and under, when they contain more than 0.1 percent of DEHP, DBP and BBP. European Union scientists and the Danish Environmental Protection Agency have classified low phthalates as reproductive toxicants based on rodent studies, but have concluded DINP, DIDP, and DPHP are safe as used. Frank Jensen, chief adviser to the Danish EPA's chemical unit, has concluded that DINP is a cost effective, quality substitute for the low molecular weight ones. Such distinctions between high and low phthalates are critical for scientists and public health officials but an anathema for activists who brandish a broad, anti-chemical bias. Despite writing an entire chapter on plasticizers in her book, Freinkel demonstrated she did not have even a passing knowledge of the different risk profiles of phthalate plasticizers. Her goal was demonization and not enlightenment, and her unbalanced writing does not encourage more effective, scientifically balanced public policy decisions. Restricting specific types of phthalates may yet prove appropriate, but regulators need to assess the chemical that could be used in its place. Often a substitute chemical has only one virtue—it’s been less studied than the chemical being targeted and therefore is less likely to be publicly vilified by activists. A ban may serve the short-term interests of campaigners, but it may not serve children’s safety or other public health interests. It’s often a vanity victory. Real life goes on, choices are made and consumers are often victimized by politicized reactions to complex science controversies. Will the comprehensive Australian review resonate with other regulatory bodies around the world which are facing pressures to institute wholesale bans of industrial chemicals, many with safe risk profiles? The CPSC is currently considering its options. This is a great opportunity to let science drive regulation—and maybe science journalists can discuss this issue with context that such critical decisions warrant.